5:00 PM - 7:00 PM PTO Family Night & Welcome New Families! Get a detailed look at what your child should be learning and achieving in each grade level. Shop at Amazon Smile and Amazon makes a donation to Mandarin Immersion Magnet School PTO! Welcome to the homepage of the Mandarin Immersion Magnet School (MIMS) in Houston Independent School District! MIMS is located in Houston,Texas and serves the entire HISD community. Mandarin Immersion Magnet School is a vibrant language immersion campus. 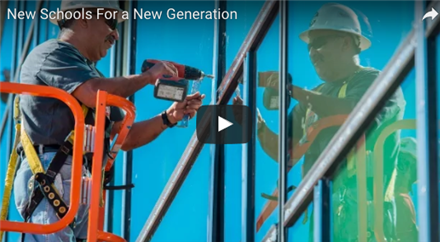 Our students are diverse culturally, economically, and academically. In Pre-Kindergarten-5th grade, students typically spend half of the instructional day in a Mandarin class and the remaining half in an English class with native speakers in each language.This balanced approach employs rigorous academic standards in core subjects while developing biliteracy and bilingualism. In Middle School, all students take Pre-AP courses including accelerated Math and Science. In Grades 6-8, an Advanced Immersion track prepares 8th grade students to take the AP Chinese exam for college credit while 6th Grade students also join our campus at Middle School level for a Beginning Immersion Track. 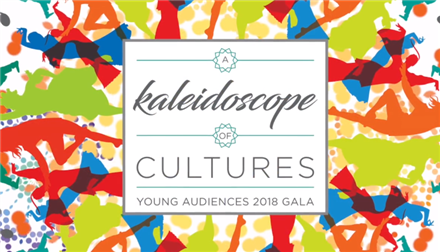 Through rich cultural partnerships and special events, students also gain an awareness of and an appreciation for Chinese culture, traditions and practices that enhance their global citizenship.We welcome your questions and look forward to introducing you to our unique and exciting educational program! 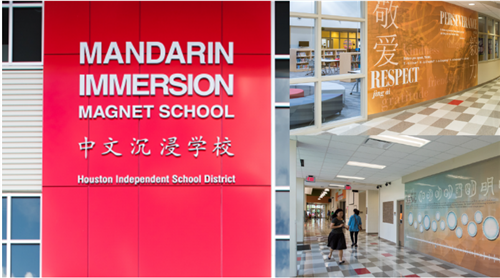 Originating from a progressive vision of Houston ISD, Mandarin Immersion Magnet School is one of the largest immersion schools teaching Mandarin in the US. Students are immersed in a culture-rich environment, allowing them to become bi-cultural bi-literate citizens. MIMS was awarded a Citation of Design Excellence and recognized for its cultural transparency and integration, as well as its utilization of Chinese cultural elements throughout the campus. MIMS Spark Park is a cooperative venture of HISD, MIMS parents and students. 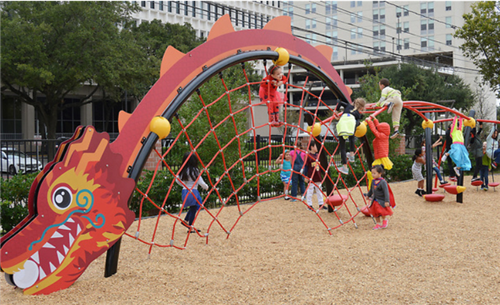 Included in the culturally immersive play environment are a dragon, a phoenix & Chinese zodiac fencing. Taking an immersive approach both to language and cultural understanding, the school draws on Houston’s diversity as well its wealth of art and culture. 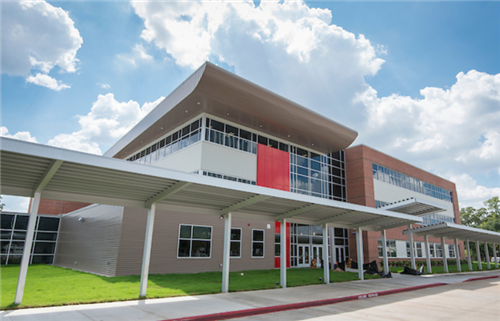 MIMS named one of the "Most Diverse Schools in the U.S."
Public School Review places MIMS at the top of the diverse school list in Texas and the U.S.
Take a look at Houston ISD's 21st Century Schools! Groundbreaking ceremony marks beginning of construction of the new building housing highly successful Mandarin Immersion Magnet School.